Every state has the right to have a merchant fleet under its flag, and the vessels in this fleet are entitled to use the high seas. But this right is coupled with obligations. As there is no sovereign authority of a state or other agency to maintain law and order on the high seas, there must be some tie to the jurisdiction of a state. According to common international law, which is confirmed by the Convention, the flag state in general exercises exclusive jurisdiction over a vessel on the high seas. 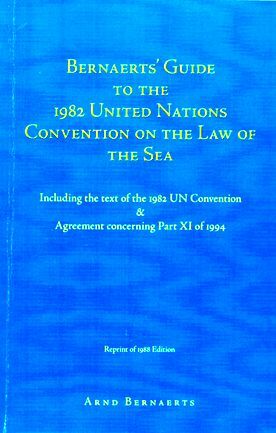 The Convention's provisions are part of a complicated network of public international laws, rules, and regulations, but they also represents the general rules which serve as basic principles for the entire network of international public law of the sea. The flag state's initial obligation is to maintain a registry of all ships entitled to fly its flag and to issue documents to this effect to such ships. As a result of this procedure, the ship has the nationality of the country whose flag it flies. However, states are permitted to grant their nationality to vessels only when there is a "genuine link" between vessel and state, a term not defined by the Convention, but which is to be interpreted as a strong economic tie between nationals of the flag state and the vessel with regard to ownership, management, and manning of the ship. In order to prevent changes of flag for convenience, vessels sailing under the flags of two or more states may be assimilated to a ship without nationality. Upon registering the vessel, the flag state must ensure that the ship complies with international safety standards. It must exercise its jurisdiction and control in administrative, technical, and social matters over vessels flying its flag. A broad listing of measures to be taken would include construction of equipment, seaworthiness, manning, labour conditions, training of crew, means of communication, prevention of collisions, and regulations and inspections. In taking these measures, the state is obliged to conform to generally accepted international regulations, procedure, and practice, which means for all practical purposes applying IMO (International Maritime Organization) and ILO (International Labour Organization) conventions and standards. Where there are clear grounds for believing that proper Jurisdiction and control are not being exercised over a ship, other states may report the facts to the flag state. In cases of collision or incident on the high seas involving loss of life or serious injury or serious damage, other states may cause an inquiry to be held, although penal or disciplinary procedures remain basically under the jurisdiction of the flag state as does also the right to arrest or detain vessels in such cases (e.g., for penal or investigative purposes). The flag state and the other state are to co-operate in the conduct of any inquiry. 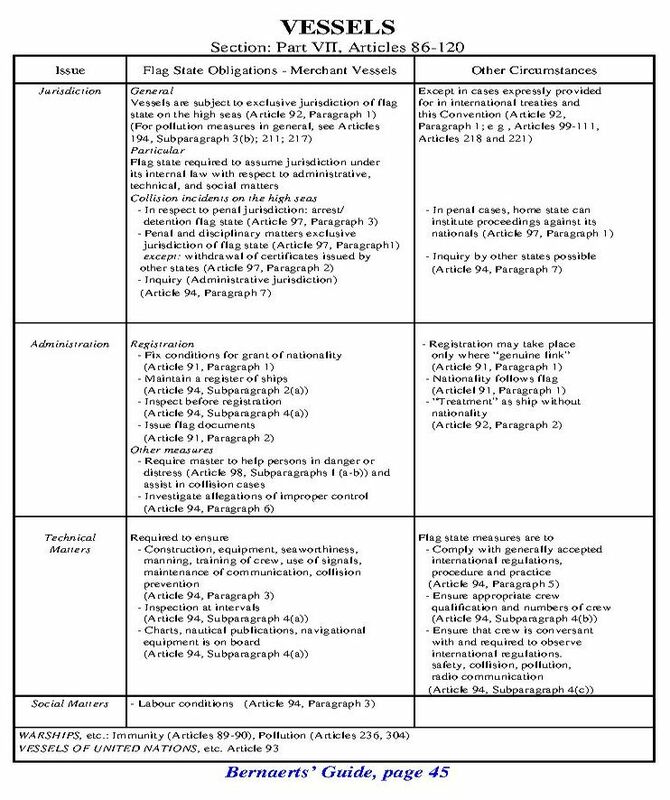 It should be emphasized that the regulations of the Convention do not affect private law and civil claims and rights, e.g., application in court for arrest of a ship arising from a claim for compensation for damages caused by the ship. Finally, the flag state must require masters of vessels of its nationality to render assistance to any person in danger of being lost or in distress in so far as this can be done without serious danger to his own ship. In the case of involvement in a collision, assistance to the other ship is to be provided.